Saving Energy Costs and More with Heat Exchangers | Noren Thermal, Inc. 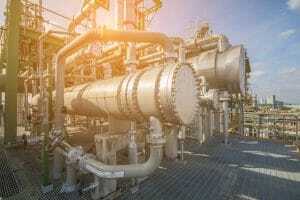 When companies began implementing heat exchanger technology for their electrical cooling needs, they were already used to thermal management being a burden. Traditional solutions, like air conditioners, were costly and often needed repairs and maintenance. Yet, they were necessary to protect the equipment that companies rely on from overheating, malfunctioning, and breaking down completely. Because of this, the immediate and long-term savings that heat exchangers provide were even more advantageous than many companies expected. Today, heat exchangers of all types, especially custom thermal solutions designed for innovative applications, continue to exceed expectations, helping companies save on overall operating costs and much more. The costs of maintaining proper electrical thermal management have several different factors. One of the largest of those factors is the amount of energy needed to keep thermal solutions running continuously, sometimes 24/7. Because of the complicated HVAC processes that air conditioners relied on, that energy usage and the costs associated with it were traditionally one of a company’s most consistently high overhead costs. Heat exchangers don’t rely on HVAC process, but rather more natural methods of transferring heat, such as phase-change cooling. They can remove electrical waste heat from within an enclosure instead of combatting it with chilled air, and they can do so using a fraction of the energy that air conditioners use up. Over time, reduced overhead stacks up, leading to increasingly more substantial savings. However, it isn’t just the direct costs of operating heat exchangers versus those associated with operating air conditioners that make the more custom thermal solutions advantageous. Because transferring heat doesn’t require as complicated a setup as chilling air does, heat exchangers don’t come with complex external mechanical parts that can constantly wear down or become damaged. Instead, they rely on solutions such as custom cold plates, heat pipes, and more, with the occasional addition of one or more fans, to facilitate a rapid, consistent flow of cooling fluid and waste heat. Heat exchangers largely broke ground as electrical thermal management solutions for cooling control panels and other enclosures. Yet, their advanced heat transfer techniques and the significant savings they provide have inspired companies across nearly every industry to implement them for more than just electrical cooling. For example, heat exchangers today are used as thermal pins to streamline the molding process, and as vital thermal management components to green efforts like wastewater treatment, solar energy utilization, and much more. For more information about how heat exchangers help companies save costs and more, call Noren Thermal Solutions in Taylor, TX, at 866-936-6736.